This asphalt roof in Lake Geneva had a heavy black algea on the roof. We used our low pressure cleaning process to remove the algea . Now the roof looks great and is Algea free. If you would like a free estimate for roof cleaning feel free to give us a call or email. 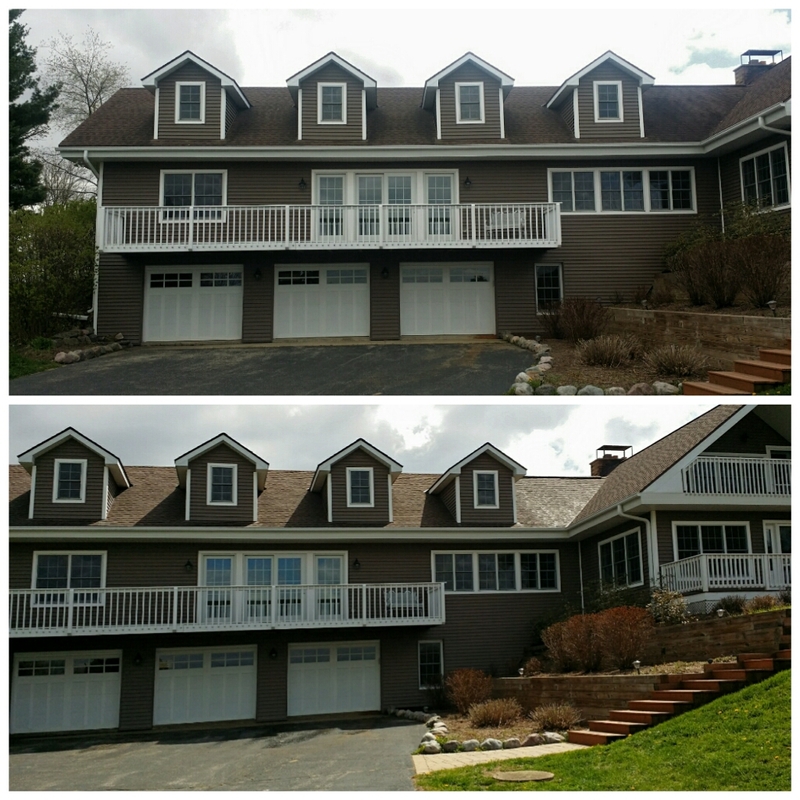 Previous Previous post: Roof Cleaning in Shorewood, WI.